2 storey Semi Detached Industrial for Sale Located at Batu Kitang, 7 mile Selling Price at. 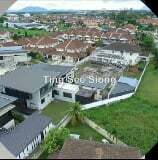 For Sale: Rm 1,290,000.00 Three Storey Shop. Currently tenanted. Visible from Main Road. Oppos. 4 Storey Fully Commercial Shoplots For Sale!